A picture of the spikes, or so-called "defensive architecture," was described by the Labour London assembly member Tom Copley as summing "up everything that's wrong with the housing in London in one image." 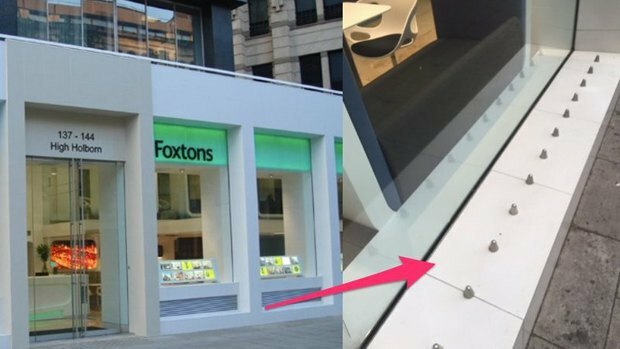 Foxtons quickly responded to the petition and has agreed to remove the spikes. The petition was organized by Zahira Patel, who said "I think such spikes are part of a larger hostile atmosphere which increasingly treats homeless people as a nuisance rather than as vulnerable human beings."